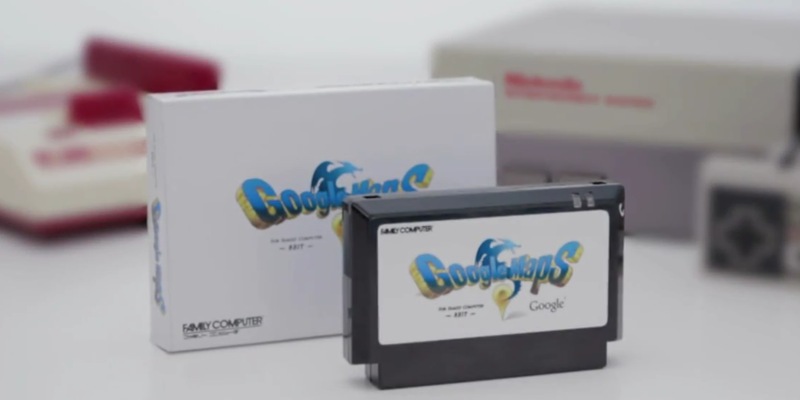 Google offers its Maps product on a huge variety of different systems, but the one that it has so far neglected is the hugely popular Nintendo Entertainment System. Finally, the search giant has answered the cries of NES users everywhere and is launching an 8-bit version of its popular mapping product. Maps 8-bit can be used directly in your home NES system, but don’t forget to blow on the cartridge first! I also recommend popping it out and back in a few times and slapping the top of the console, works every time. Our engineering team in Japan understood the importance of maps on retro game systems. With the power of Google’s immense data centers, and support from Nintendo and Square Enix, we were able to overcome the technical and design hurdles of developing 8-bit maps. Today, we’re excited to announce the result: a version of Google Maps for NES, with beautiful low-res graphics, simple and intuitive controls, and a timeless soundtrack. The art for the box is strongly reminiscent of the Dragon Warrior/Dragon Quest series of classic RPGs for the NES and Playstation. Although the cartridge itself is in the shape of the classic Famicom units, rather than the NES launched in the US. As the first NES cartridge to be released in nearly 18 years, we’re working hard to make Google Maps 8-bit for NES available in the Google Store as soon as possible. A mobile version for Game Boy is also under development. 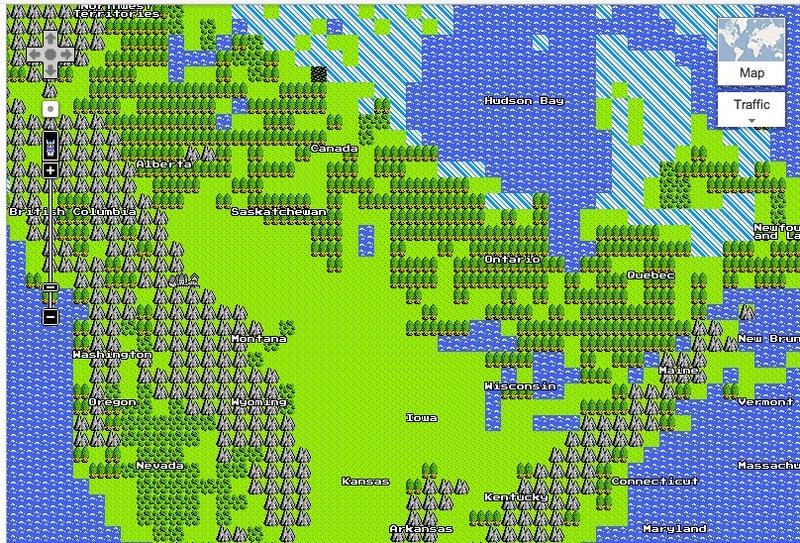 If you’re using one of those silly computer things, you can also visit maps.google.com and click on the ‘quest’ button in the upper right corner of the map to get your current world dressed up in 8-bit fashion. Also, be sure to drag your little character out onto the map and choose Street View for more retro goodness. I don’t know about you, but this brings back some fantastic memories. Time to limber up my thumbs and get some directions. 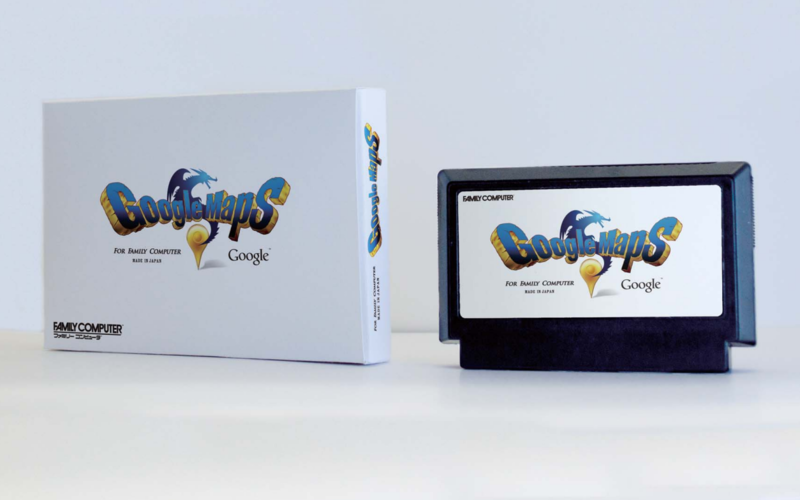 Don’t miss all of Google’s 2012 April Fools.